Andrei Konchalovsky’s new film Paradise (Rai) has been included in the International feature film competition at the 73rd Venice film festival in September. The film, which describes the atrocities of WWII through personal stories, will compete against 18 other films, set to premiere at the festival. Among other directors vying for the spotlight are such immense names as Denis Villeneuve, Pablo Larrain, Derek Cianfrance, Tom Ford, and Terrence Malick and Emir Kusturica. In addition, Hollywood star Mel Gibson will present a non-competition screening of his new film. This year’s jury will be headed by British film and theater director Sam Mendes, best known for his 1999 feature American Beauty. 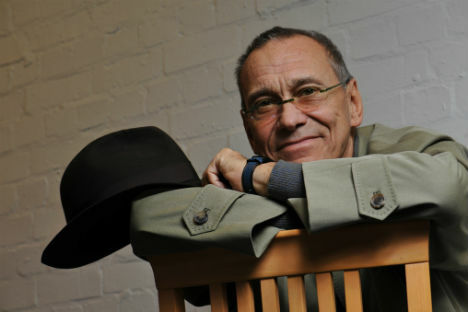 Konchalovsky’s nomination comes just two years after his film The Postman’s White Nights received a Silver Lion in Venice. "Thank God, that the film made the competition," the 79-year old filmmaker told TASS. "Of course I am going to go to Venice myself to present the film. I have a lot of emotions right now, but you can write that Konchalovsky said that he was very glad." Paradise is a joint Russian and German production that tells accounts of people scarred by WWII, like Russian emigre Olga, Frenchman Jules and the German, Helmut, who ended up on opposite sides of the military conflict, yet are bound together emotionally. There is an element of surprise in Konchalovsky’s film in how the story is told, through unexpected cinematographic language. The leading role is played by Konchalovsky’s wife, actress Yuliya Vysotskaya. Other actors include Christian Clauss, Philippe Duquesne, Viktor Sukhorukov and Peter Kurt.